Age minimum 19 years and maximum 24 years as of December 31, 2016. 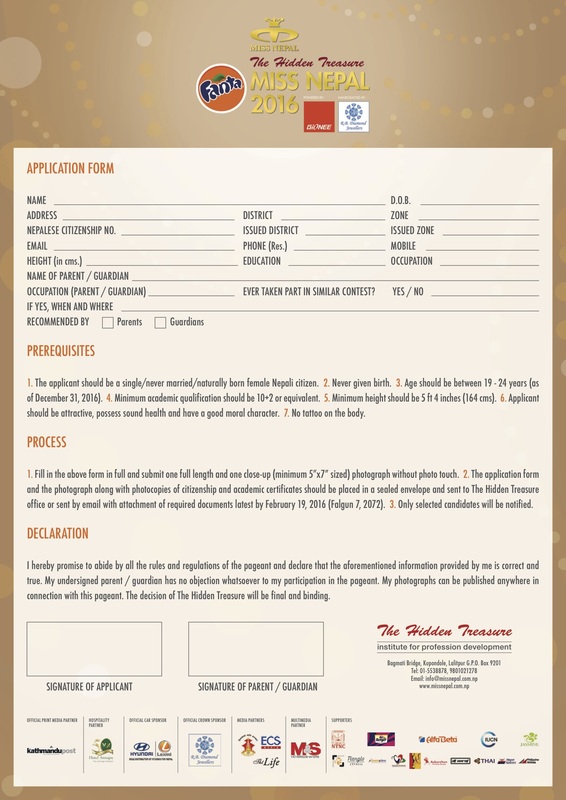 Download Miss Nepal 2016 Application Form here. This entry was posted in Beauty contest and tagged Miss Nepal, Miss Nepal 2016. Bookmark the permalink.